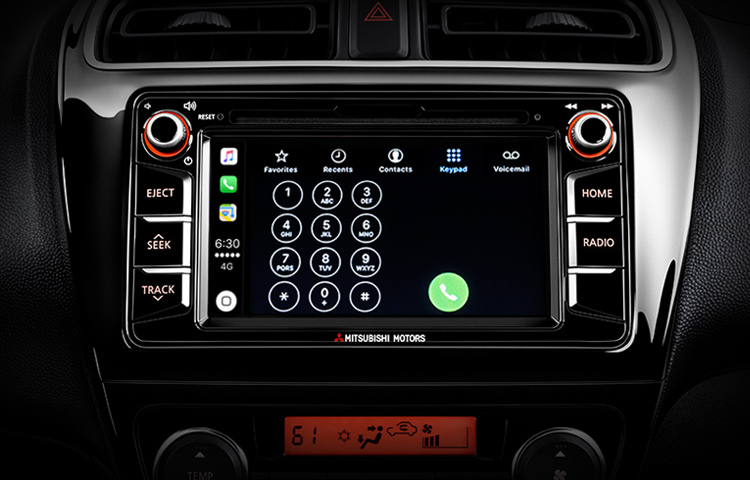 The available Smartphone Link Display Audio system gives you access to your smartphone apps and phone features like Bluetooth® wireless technology and rearview camera, all on an easy-to-use touchscreen display. 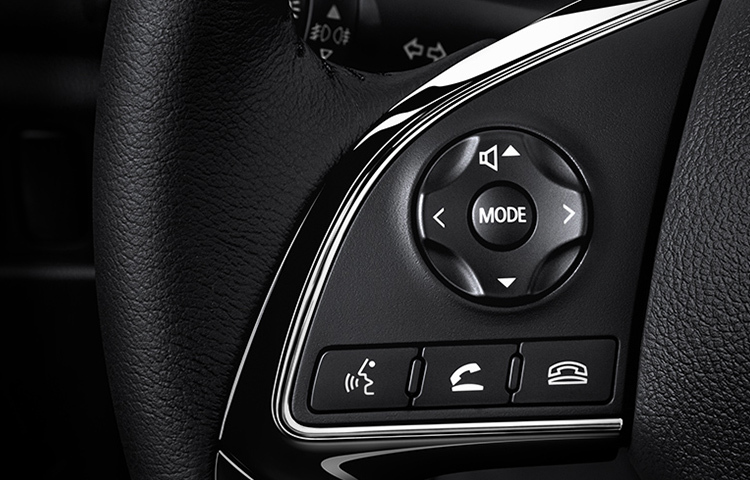 Keep up with your social life without taking your hands off the wheel. 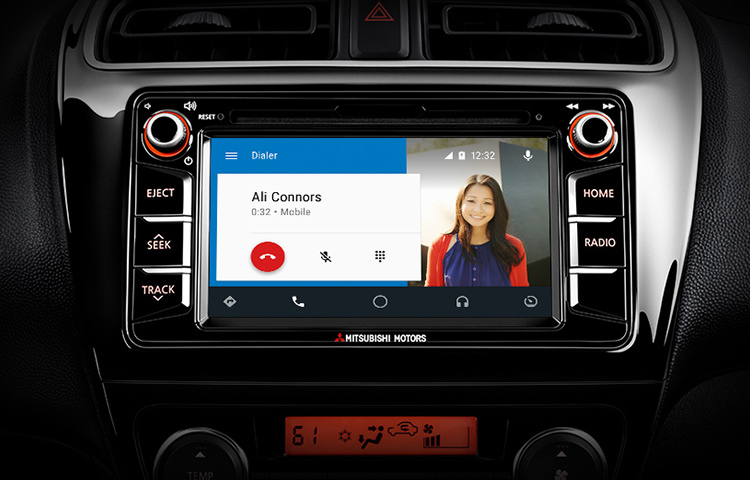 Ask Google to make calls and send messages through your favorite apps with simple voice commands. 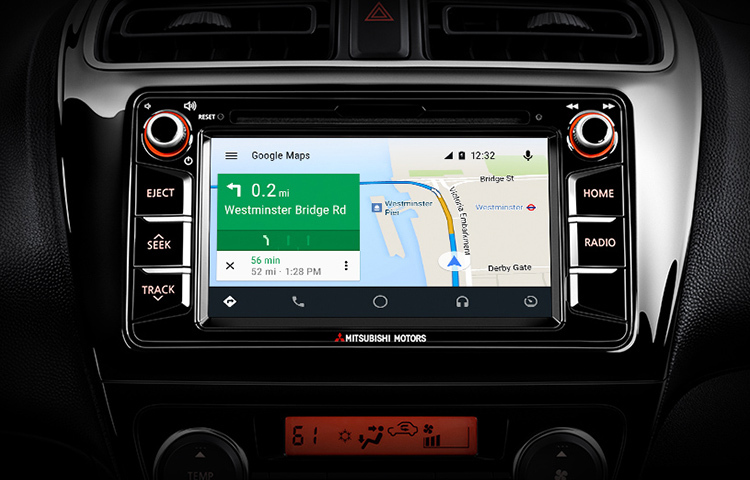 Seamlessly-integrated Google Maps gives you voice-guided navigation with lane guidance, real-time traffic and more, so you'll always know the way. 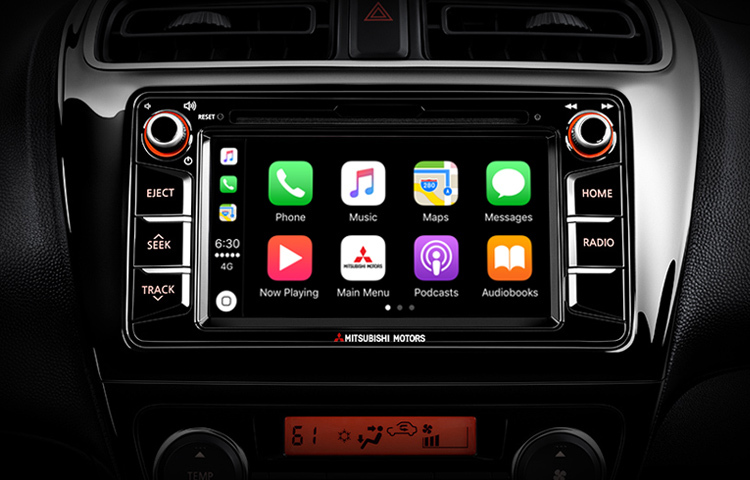 Beyond simple turn-by-turn directions and real-time traffic updates, Apple MapsTM can predict where you want to go based on your recent conversations and calendar events. 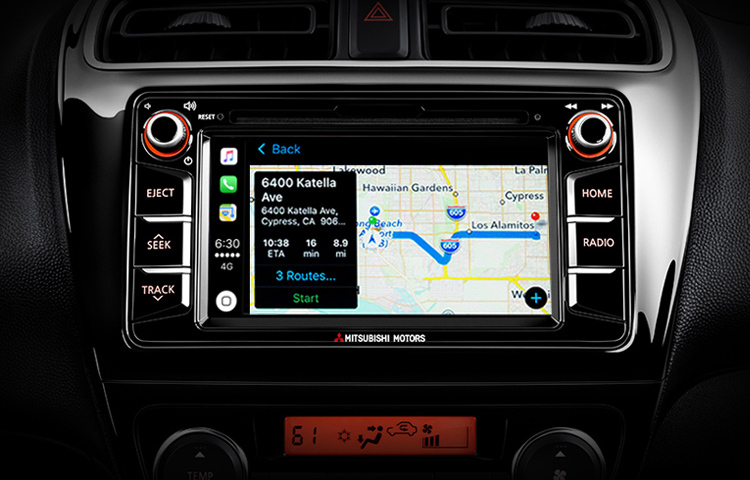 And with the new Nearby feature you can find gas, parking and more with just a tap. 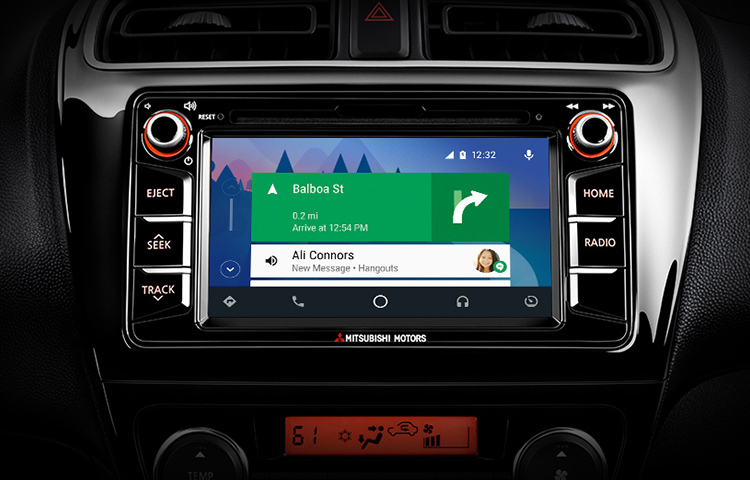 The standard Bluetooth® wireless system seamlessly connects your Mirage with your phone and most audio streaming devices, so you can take your playlists along for the ride. 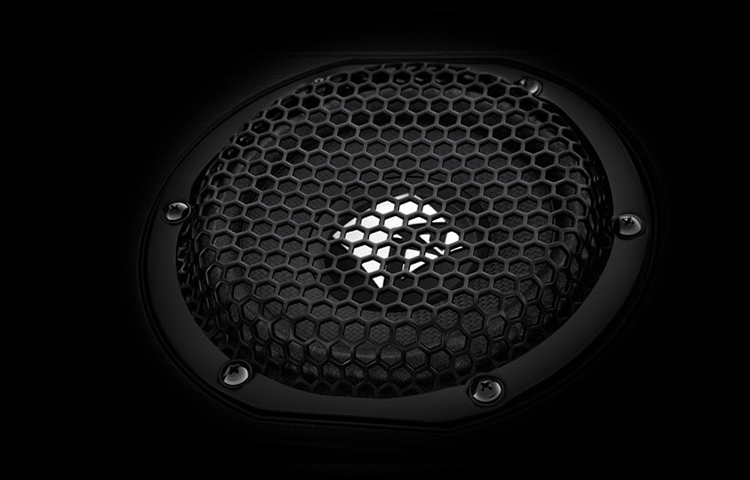 The available Rockford Fosgate® ecoPUNCHTM system pumps 300 watts of crisp, clear sound through the powerful, low-distortion MOSFET subwoofer and amplifier. 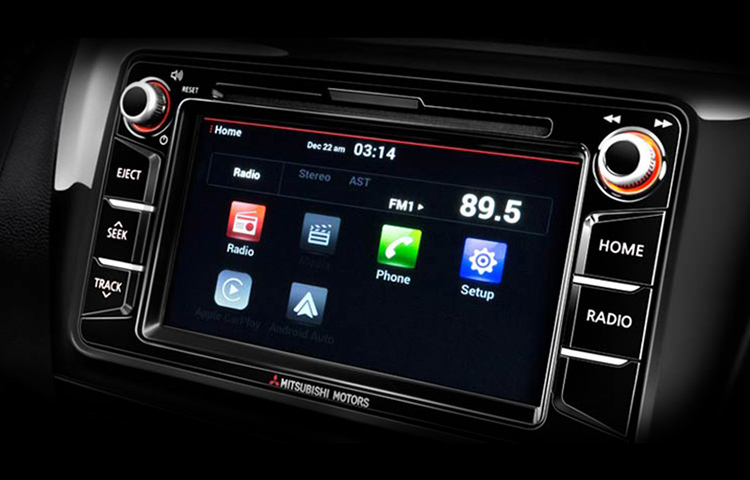 Every component was built to enhance the Mitsubishi Mirage's acoustics, so you can listen to your favorite music as it was intended to be heard  all while consuming less power.